Little Monster Newborn Photo Shoot Jacksonville - Newborn Photography | Schedule Your Newborn Shoot Today! I'm a huge Disney Pixar fan, so I accumulate toys and props for inspiration. 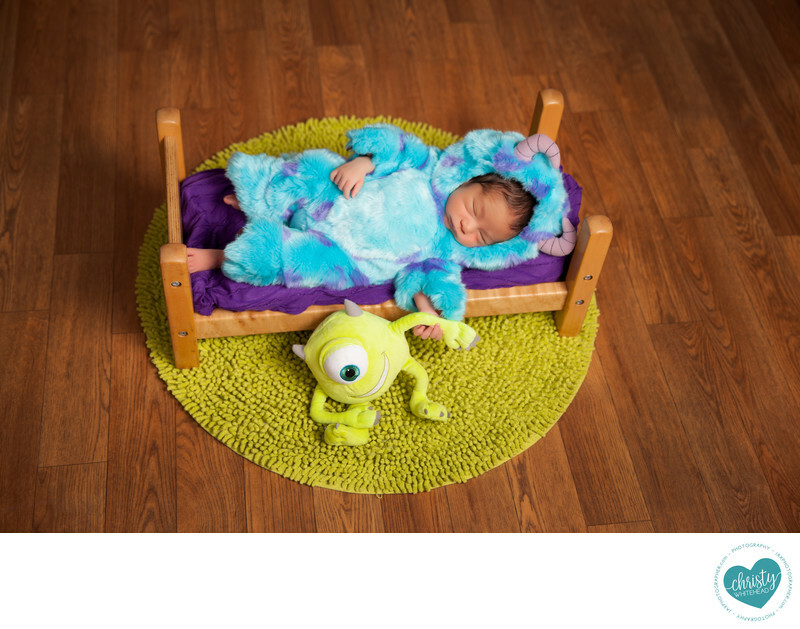 To me, in a bed is the perfect place to shoot a Monster's Inc newborn session. We've been featured on Buzzfeed for our geeky sets!